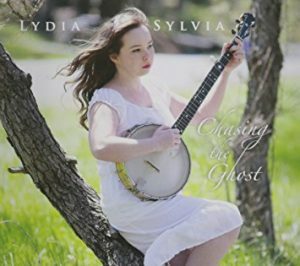 We invited banjo expert, Lydia Sylvia Martin, to WVUD to talk about her latest album “Chasing the Ghost.” In her new album, Lydia conveys the diversity of the banjo by combining old-time folk with blues and Irish music. Her main focus was to try and combine these styles of music to portray the beauty of diversity in the Appalachian region and the cultural history of the banjo. Lydia doesn’t consider herself a singer but rather uses her voice as a second instrument to her banjo. Her style of music derives from her desire to showcase her passions and individualism. “Chasing the Ghost” is filled with impressive banjo-playing and equally as riveting storytelling. Lydia Sylvia Martin hosted by Mandorichard. Recorded live on Feb. 7, 2017. 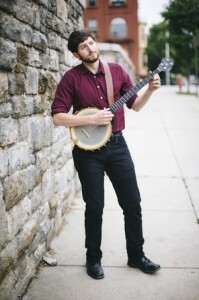 Lydia Sylvia Martin is a Maryland-based musician who specializes in banjo-playing. She studied at the Levine School of Music, Goucher College, and Montgomery College. Lydia began playing music as a child with her family, The Martin Family Band. In addition to being an accomplished musician, Lydia is also a proud parent of a young toddler. When she’s not recording, teaching, or making special appearances, Lydia can be found spending time with her family and sharing her passions with others. Her new CD, Chasing the Ghost, has been recorded over the past several years, and was released in February 2017. Today on the Music Room, we talked to Russ Barenberg, described by songwriter Jon Weisberger as “perfectly blend[ing] a mastery of roots music tradition with melodic originality.” His music is exceptionally lyrical, relying primarily on composition rather than tempo to provide the energy, and incorporating various genres and instruments. This energy and collaborative spirit carries over into his own life. 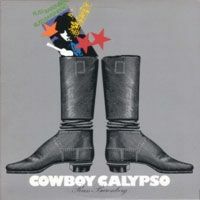 Starting in 1970 on the guitar with the bluegrass group Country Cooking in Ithaca, NY, by 1977 he’d joined the electric string band Carried Away on the electric guitar, and in 1979 moved to Boston and joined the triple fiddle band Fiddle Fever, but not before recording his debut solo album Cowboy Calypso . While he settled in Nashville by 1986, he has only continued traveling, visiting workshops throughout the United States and Europe as a teacher and educational author, and he has participated in Transatlantic Sessions, an international collaboration by artists in both the US and Europe, produced in Scotland, and producing TV episodes, live performances, and series albums. Speaking of television, he also did extensive work in Ken Burns features, including the critically acclaimed film The Civil War, and his most recent solo album When at Last, with the single “Little Monk,” nominated for a 2008 Grammy (Best Country Instrumental Performance).